The developer’s team is offering three game modes for a limited period. The content is added along with loot, weekly events, and many more things. The first mode is Cats vs. Dinos mode. In this, the map used is a Jurassic Park. The cats and the dinosaurs want to kill each other in the game. It is a limited time Multi-player map game mode. The second method is named as Boss Hunt. This mode allows you to make a team with your friends and challenges system for a fight. The difficulty level can be set, and the rewards can also be earned. The third mode is the best one. It is a Super Mix mode which contains mix, crazier and mild blowing settings. The mode allows you to choose any character and make up a team and fights with any system operated character. The new things added in this game may excite you. A mystery portal has been added which does something which is still a mystery to the people. The developers have added more surprises and gifts. Such stuff increases the interest of a player. 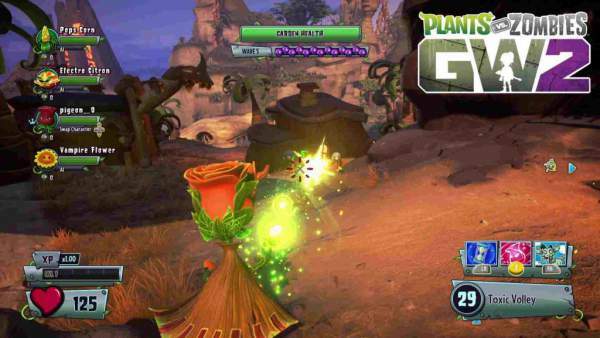 The three modes already described are also the new features of this game. Latest maps have been added which provide a new quest board quest. There are various fixes in the game. The fixes are here. It fixes the Delivery time challenge after the re-spawn of a character and also allows customized clipping. At the time of background battleground, there is a freeze on the rare black screen. Due to the lack of improper connectivity issues, the dis-connectivity issue is also resolved. The problem which arises due to setting up of the battleground private. Before the fix, everyone can connect to the server but in the fix, only the individual members are allowed to join the network. The latest fixes also remove the issue of hanging of the game due to any cause. All the weapons have been upgraded, and weapons change is done in a fraction of seconds without any delay. And many more bugs have been fixed in the latest update of the trail version of this game. Hope you get enough information about the game. For more details or any related question, leave a comment. Do subscribe to the website and Stay tuned.